As your Local Family Owned and run Essex Funeral Directors, we are always there to offer help and advice with a professional, confidential and courteous manner. We provide an emergency service to you twenty-four hours a day, 365 days a year. Our personal attention to the family is important and all our staff are trained to help and assist, each one dedicated to our chosen profession. This website is an extension of the specialist information that the funeral director will discuss with you. The Farrer family has been in the funeral profession since 1860. Initially this was in the east end of London (North Woolwich, East Ham and Silvertown) and these offices were run firstly by our Great Great Grandfather Samuel J Farrer, then by our Great Grandfather Albert E Farrer. Read more. In 2006, we opened a new funeral home in Shenfield after many years of conducting funeral services in the area from our Billericay premises. This was to be able to be closer to the people of the Hutton and Shenfield area. A E & J E Farrer Monumental Masons is the memorial division of the business. Our Classic Rolls Royce Silver Spirit Hearse and limousines have been in our service for many years, and is are very popular choice. A classic Victorian black hearse with gold leaf decoration. Pulled by matched Friesians, dressed in plumes and funeral harness, a classic carriage hearse is an impressive addition to any funeral procession. 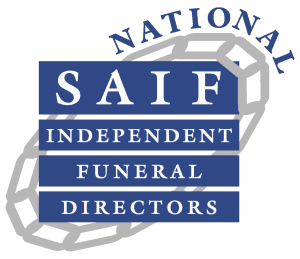 Society of Allied & Independent Funeral Directors. We are proud to be members of this society, the only professional organisation in the U.K exclusively dedicated to serving the local independent funeral directors and their community. As an independent family funeral directors, we are committed to upholding the standards and service expected by the families we serve. We provide Professional services 24 hours a day, we are here to help through every aspect in this difficult time. All of our services . . .
© Copyright 2017 FE FARRER. Billericay & Shenfield, Essex Funeral Directors – Essex Web Design by webwax.